Does Your Company Require P.O. Numbers? 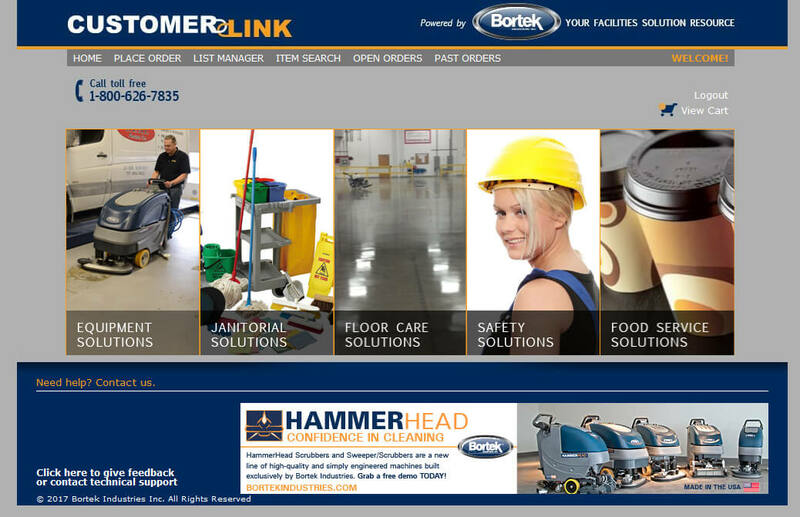 CustomerLink is Bortek’s exclusive one-stop shop for everything you need in one secure location. Today’s technology has allowed it to be easier than ever to do business with us. CustomerLink provides you with an easy to access source of information. Whether to view your order history, repair history, place a repeat order or follow up on an existing order, this customer-focused system provides you with the ease of doing business and maximizing the accountability of Bortek. It is like having a Bortek Industries representative at your finger tips any time; day or night. Once you sign up for CustomerLink, you will be introduced to this page below! If you still have some concerns, take a look at some of the possibilities Customer Link has to offer. This system is customer friendly and here to help you! CustomerLink…an efficient way for you to do business. Sign Up today and we will contact you shortly!